With the start of spring, the sun has finally started to split the clouds. Joyful colourful gems seem just the thing to celebrate the sunshine, and there’s an array of choice at McTear’s Jewellery Auction on Sunday 7 April. Perhaps you’re due to celebrate a birthday this month. 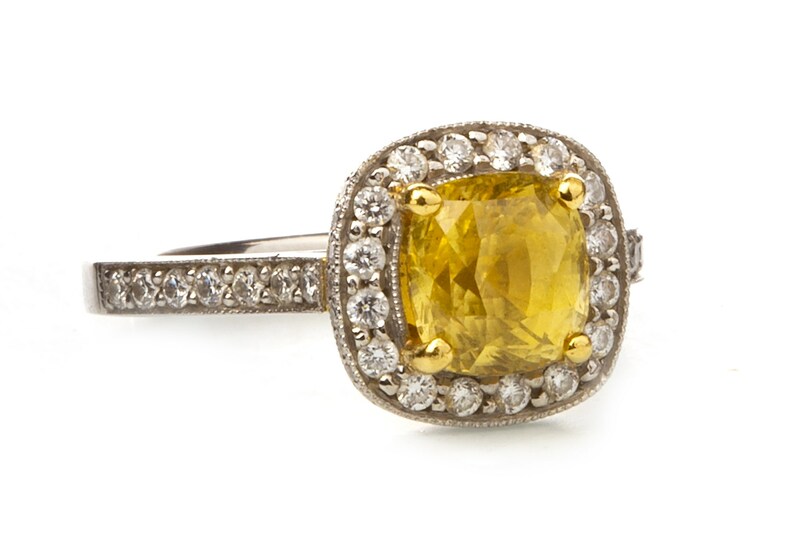 April has three beautiful birthstones – diamond, sapphire and opal – and each can be seen in shades of sunny yellow. So why not embrace your favourite April birthstone with a springtime twist! Coloured diamonds are rare and it has been estimated that just one carat of every ten thousand carats mined is in fact a natural fancy coloured diamond. 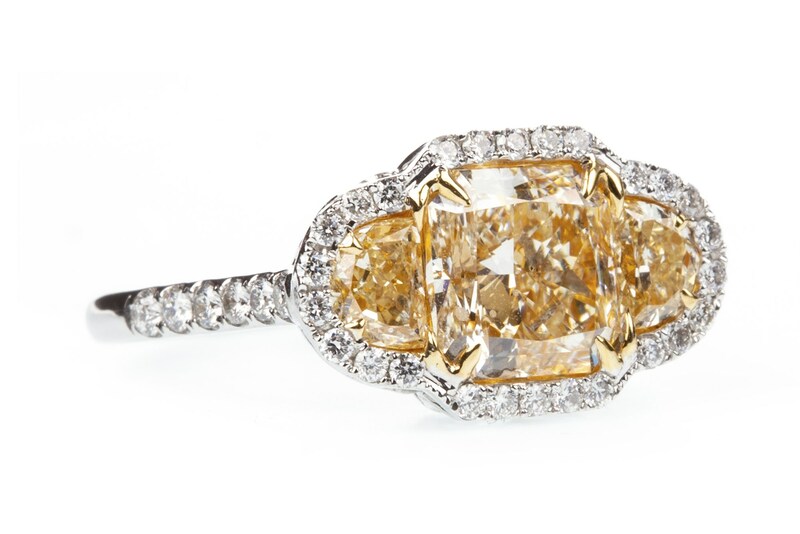 Lot 183 in The Jewellery Auction features a stunning certificated yellow and white diamond ring, set with a central cushion cut yellow diamond of approximately 2.20 carats with further smaller white diamonds. This would certainly prove an impressive birthday gift and comes with an auction estimate of £8,000-10,000. If you prefer opals, a vivid fire opal and diamond cluster ring could be the one for you. Featuring at lot 182, this striking ring is set with an oval opal and comes with an auction estimate of £1,500-2,000. 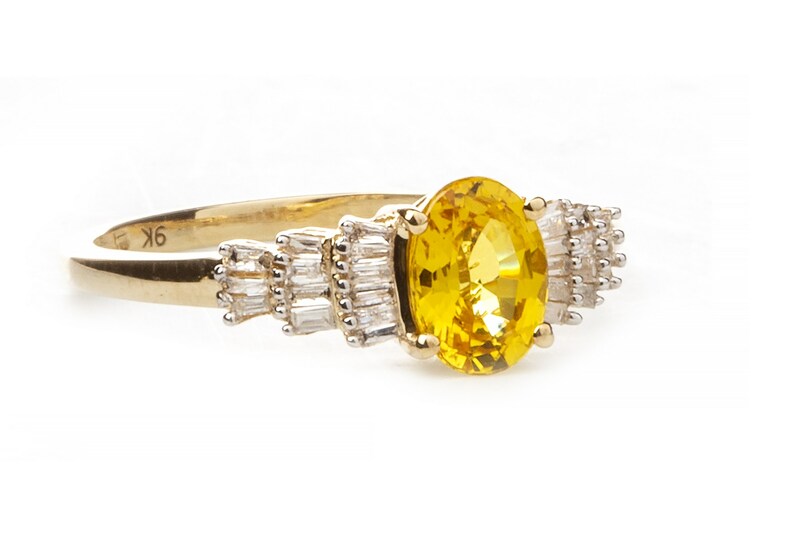 Another one of the specialists’ favourites is a gorgeous yellow sapphire and diamond ring (lot 143). Set with an impressive cushion cut sapphire of approximately 2.74 carats and surrounded by diamonds, this comes with an auction estimate of £2,000-4,000. 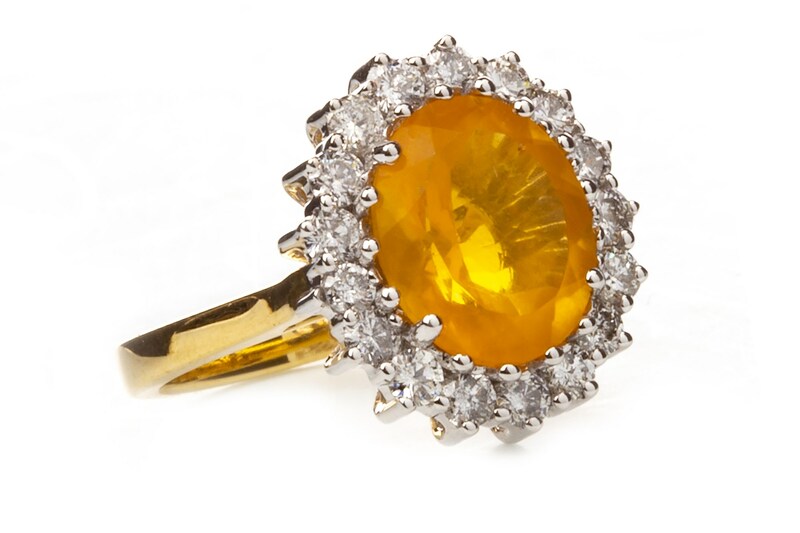 If you like the sound of sapphires, lot 170 also features a beautiful yellow sapphire and diamond ring, estimated at £500-800.